This title takes an innovative approach to company law, from the perspective of accountability for corporate powers and conduct. It also includes comprehensive analysis of the complex technical rules contained in the Securities and Futures Ordinance (Cap 571). Company Law: Powers and Accountability – Second Edition provides comprehensive coverage and incisive analysis of the complex technical rules and concepts contained in the Securities & Futures Ordinance (Cap 571). It takes an innovative approach to company law, from the perspective of accountability for corporate powers and conduct. The first edition of this work quickly became an essential part of many professional libraries, and now this long-awaited second edition has been rewritten to make it even more practical and accessible to practitioners, non-practitioners and students alike. 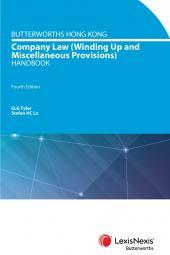 Fully updated with the latest legislative changes and case law it is a must for anyone involved in company Law. 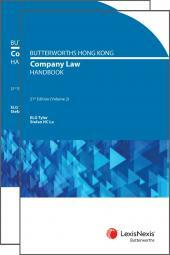 Content in this new edition has been expanded to include two new chapters on cross border insolvency and board fights. The chapters covering Winding Up have been substantially revised in light of changes to Cap 622 and the revised Cap 32. All commentary throughout the text has been updated for brevity and clarity. Additional improvements to the second edition include a focus on the essential fundamentals that are often overlooked, yet form the basis of understanding of the subject matter. 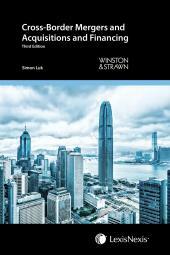 Company Law: Powers and Accountability – Second Edition is an essential text for anyone involved in, or interested in, Hong Kong company law. Practitioners, law students and interested laypersons alike will find it a worthwhile edition to their libraries. Dr. William MF Wong S.C.
Dato’ Loh Siew Cheang graduated from the University of Malaya. He was called to the Malaysian Bar in 1978 and since then has been in active practice both in and out of all levels of court in Malaysia, specialising in companies and securities law. He is the managing partner of Cheang & Ariff, a firm he co-founded in 1986. He was a former member of the Companies Law Reform Commission. Dr. Dr. William MF Wong S.C.